This is the acclaimed “Cave of the Crystal Maiden,” one of the most spectacular natural and archaeological attractions in Central America. 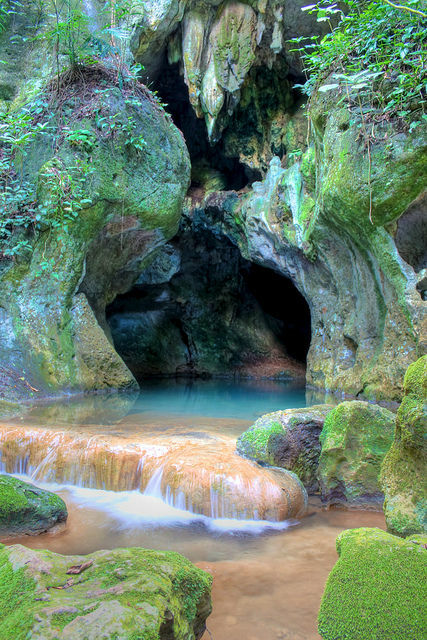 The trip to Actun Tunichil Muknal, or ATM, as the cave is also known, is for fit and active people who do not mind getting wet and muddy—and who are able to tread lightly around ancient artifacts. Just about 1-1/2 hrs drive southeast of San Ignacio we arrive at the car park where we reorganize for a 45 minute hike through the jungle with three knee-high river crossings on the hike to the cave entrance. 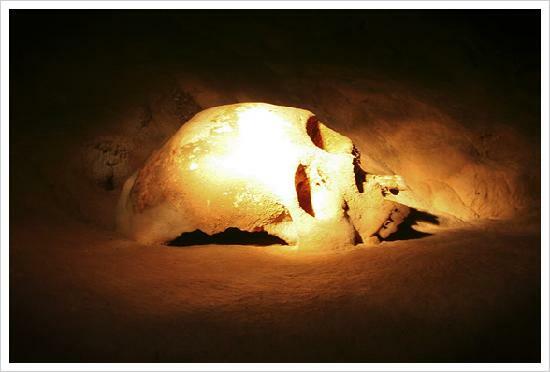 The cave has a rich archeological history of the Ancient Maya, with dates of activity recorded from the Classic Period of 200AD to the Late Classic of 900AD. Actun Tunichil Muknal cave was used by the Late-Classic Maya as a place for sacrifice. The cave’s sacrificial room is a broad raised area reachable only by wading and swimming the underground river back for about a mile then climbing a large rock to step across to a ledge near the ceiling. As with any cave exploring, one can only think of where to put one’s foot so as not to slip and which rock to grab when falling to avoid the sharp ones. Around the edges of this large space are many offerings containing human skulls and pots of different shapes and sizes. Lying undisturbed for a thousand years the bones and pottery are covered with waterborne calcite.The Maya had many ways to solicit the spirits. One method of sacrifice was to remove the lower jaw while the victim was still alive which, it is said, makes the eyes pop out. There is evidence elsewhere of this procedure carved in stone as well as in paintings on ceramics. The lower jaw is missing on most of these skulls. Another way to sacrifice is face flaying but this may not have been done at the same time as jaw removal as the victim would already be dead. Actun Tunichil Muknal was discovered in 1989 and opened to the public in 1998. Dr. Jaime Awe, a Belizean archaeologist was the first to explore the cave. Dr. Awe and his Western Belize Regional Cave Project (WBRCP) conducted archaeological research at Actun Tunichil Muknal from 1993-2000. In January of 2003, it was decided that 455 acres of the Tapir Mountain Nature Reserve would be re-designated as a natural monument. Official signing of the Memorandum of Understanding between the Belize Audubon Society and the Institute of Archaeology (IoA) occurred on June 10, 2004. This agreement was the first of its kind to be signed by the Society for the co-management of an archeological site. 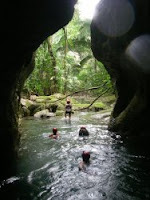 Actun Tunichil Muknal Natural Monument is located south of Teakettle Village in the Cayo District. The junction is at mile 52 on the Western Highway. Due to the sensitive nature of this cave only two tour companies are licensed to take guests here: Pacz Tours and Mayawalk Tours, which are based in San Ignacio. Tickets must be purchased in advance.